The 5km, 10km and Half Marathon all commence at the top of the Gorge. There is a fairly steep climb to the top, so allow yourself plenty of time so you don't arrive at the top already out of breath! 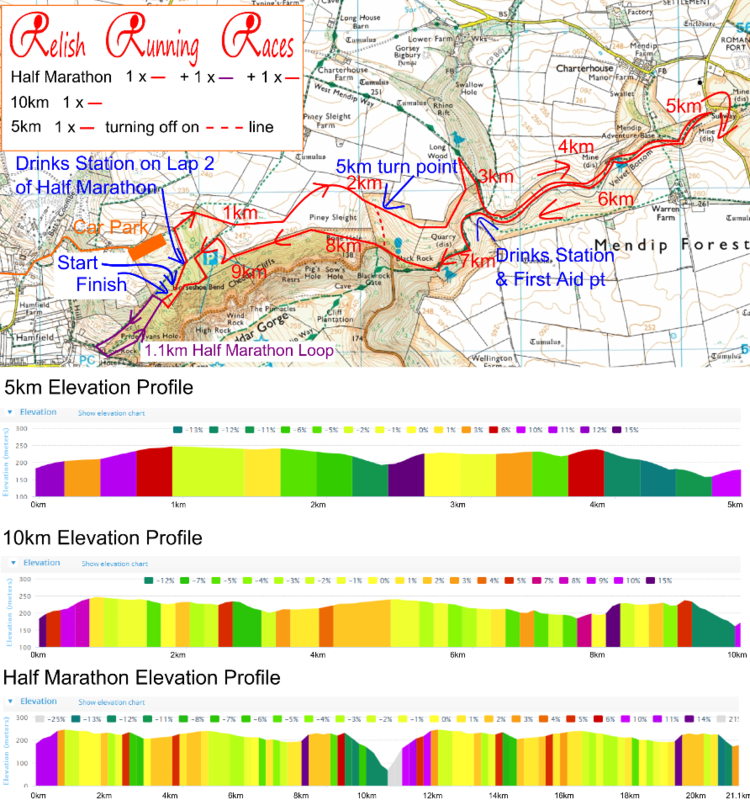 A gentle climb over the first 1km takes runners to the first high point of the race at the entrance to Piney Sleight. Keep an eye out for a sudden drop at 2km as there is some rocky terrain underfoot. 5km runners make a left down to the bottom of the Gorge, and the 10km & half marathon runners go straight on up the short rise the other side. Runners make a sharp right down a fun and fast downhill. At the bottom, there is a sharp left bend into Long Wood Nature Reserve which we are using with the kind permission of the Somerset Wildlife Trust. This is a beautiful and interesting valley with cave entrances hidden in the hillside. At the 4km mark runners make a right turn and take a winding climb to the top of the reserve. 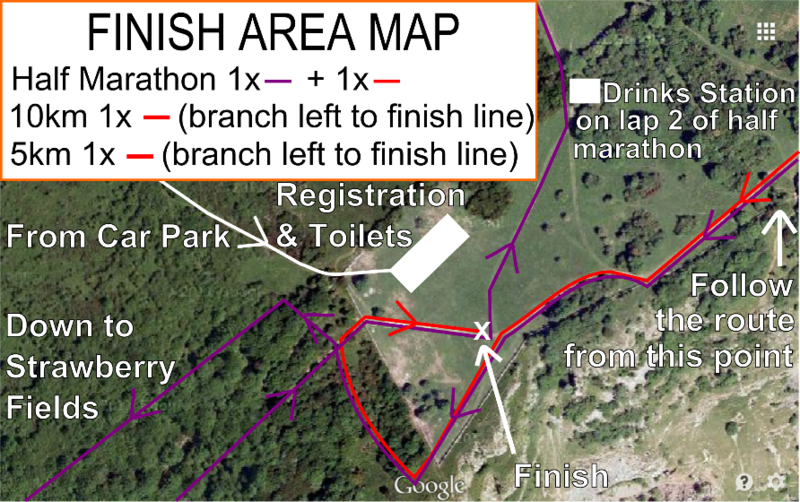 Another fun and fast desecnt will taken runners back to the entrance to Long Wood (be mindful of runners entering the wood as you descend. At the 5km point will be the well deserved refreshments station. Once again, it is time to climb as runners make a left hand turn and follow the top of the field around to the 6km point. After a left hand 90 degree bend, runners make a right hand turn and hop over a style back into the woods. Runners will past more open rock faces before emerging back into the open field and taking a sharp left down a flight of steps. After the briefest of rests, runners will take on the toughest part of the course including a deceptive flight of steps (5km runners have this to enjoy as well! )....This is where the hard work pays off, with beautiful views across to the other side of the Gorge and over to the Cheddar reservoir. A step descent will require some caution on tired legs. 10km runners have made it to the finish back at the registration area. Half Marathon runners will tackle a challenging climb back to the top of the Gorge to the cheers of family and friends as they head out for the second lap!